We recently went to Mabalacat, Pampanga, which is north of Metro Manila and at the end of the North Luzon Expressway. The objectives of my colleagues were to inspect the Dau Bus Terminal and to look at the airport shuttle whose terminal is co-located and within the large bus terminal. Following is a first batch of photos I took at what is the largest bus (and intermodal) terminal in Central Luzon. There are others like it around the country like the one in Lucena City in Quezon Province (Southern Luzon) but few are as large and serve as many buses. 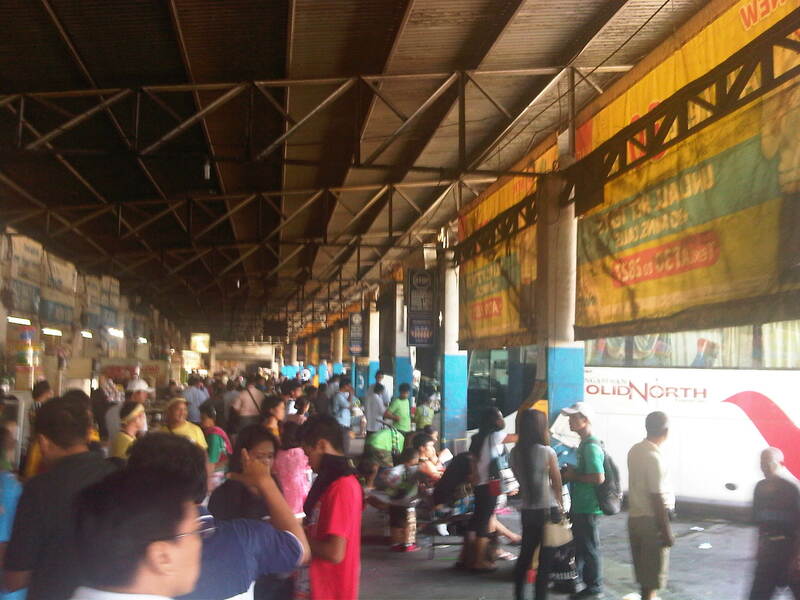 Vans bound for various provincial destinations await their passengers at the PUV terminal. These usually seat 10 passengers and directly compete with buses for the destinations indicated in the signs. Passengers walk towards the terminal and the berth assigned to their buses. Passengers, well-wishers, hawkers and shopkeepers mingle in what is probably the busiest terminal in Central Luzon. I am not aware of any similar terminals in other provinces in Region 3 including Bulacan, Tarlac and Nueva Ecija. Stalls at the terminal sell mostly food and drinks including large containers of biscuits that are still popular pasalubong. Some areas of the terminal can be quite crowded as some bus companies are more popular than others. Not all bus companies provide benches for their passengers. Some seats are actually provided by stores and eateries but only for their customers. Passengers wait for their buses on the benches or while standing and having a quick snack or smoke at one of the stores at the terminal. The guy in the photo is actually violating a national law and local ordinance banning smoking in public areas. A Five Star bus arrives at the terminal. Bus companies have their assigned berths at the terminal and drivers and conductors presumably have their suki eateries or stores. More on the Dau bus terminal in a future post. By d0ctrine in Bus, Terminals on June 7, 2015 .